Every aspiring pin up needs a vintage style felt hat to complete their winter wardrobe and this wonderful cloche hat with feminine floral detail is just peachy. Embrace the romance of the 1930s and all that was classically stylish about the fashion of the time with this incredible winter hat. However you choose to wear it, team with colour popping shoes and vintage handbag to complete this elegant look. 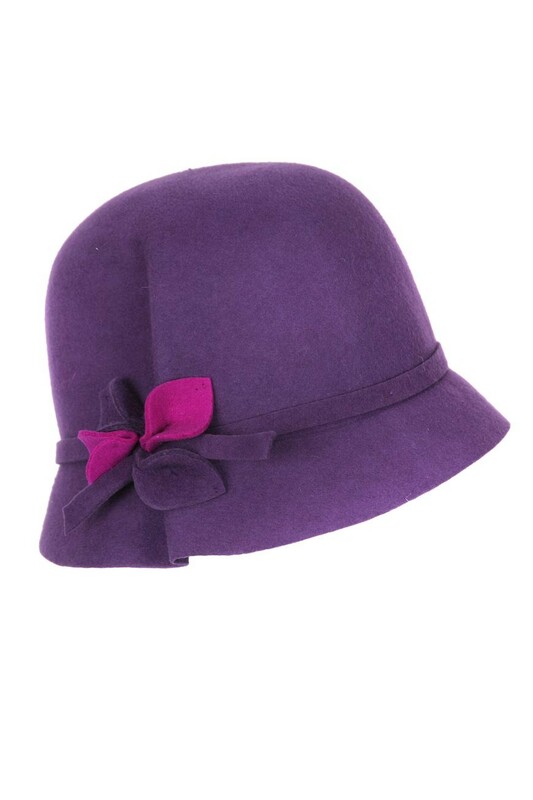 This is a firm felt hat in classic symmetrical bucket style cloche design with a neat tuck detail to the side of the hat which is adorned with a floral decoration in contrasting coloured felt.